Bahri, a global leader in logistics and transportation, recently transported the first chemical shipment from Aramco Trading Company (ATC), a wholly-owned subsidiary of Saudi Aramco that trades refined, liquid chemical and polymer products. 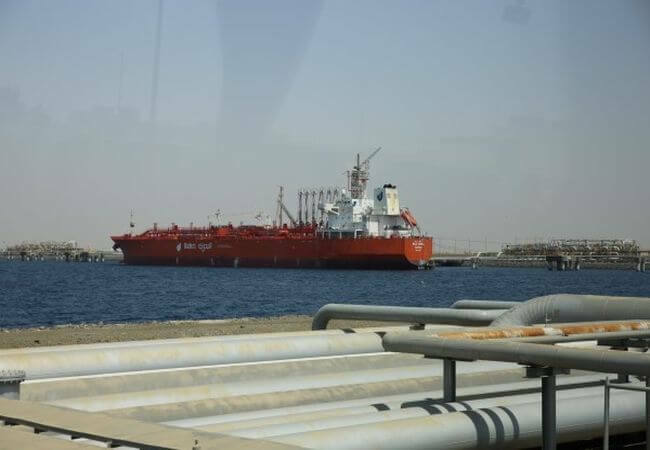 The transportation was carried out via ‘NCC Amal,’ a 45,000 DWT Bahri chemical tanker which left Port of Rabigh heading to China. The shipment, which contains 25,000 metric tonnes of paraxylene (PX) and 20,000 metric tonnes of monoethylene glycol (MEG), marks the completion of Phase II of the PetroRabigh Company (PRC) project, which was celebrated at a special ceremony in the presence of Abdullah Aldubaikhi, CEO of Bahri‎, Nasser D Al-Mahasher, CEO of PRC, Ibrahim Q. Al-Buainain, CEO of ATC, and other representatives from the three companies. NCC Amal will transport MEG in addition to the first paraxylene (PX) cargo, which will be sold during its turnaround to the world’s largest PX consumers through S-OIL, a leading company in the lubricant market, established in 1976 and 63.4 per cent of its shares is owned by Saudi Aramco. S-OIL has facilities that produce lube base oil and petrochemical products, in addition to crude oil refining facilities with a capacity of 669,000 barrels a day at the Onsan Industrial Complex in Ulsan, South Korea. The company owns the Xylene Center, which is the world’s largest PX production facility, and operates the world’s largest Bunker-C Cracking Center.